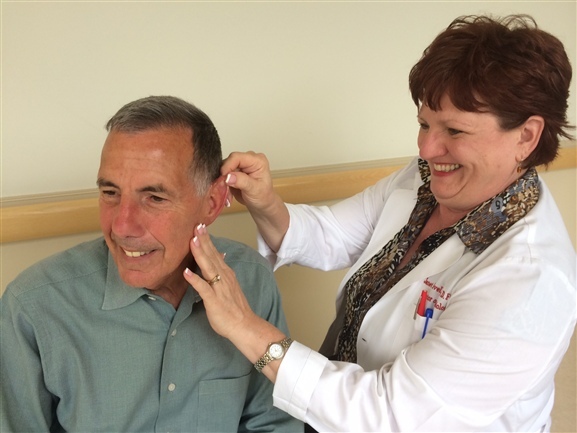 Janet Revelle fits a hearing instrument during May, which is Better Speech and Hearing Month. “Hearing loss is one of the top unaddressed medical issues worldwide,” said Janet Revelle, Au. D., director of audiology for Bacharach. Ear problems and issues with balance can also be connected because the inner ear houses the balance mechanism. Bacharach’s Hearing Centers specialize in fitting patients with hearing instruments, tinnitus treatment, auditory processing disorders treatment and inner ear balance issues. Bacharach’s speech team and long-time volunteer Paul Durante. 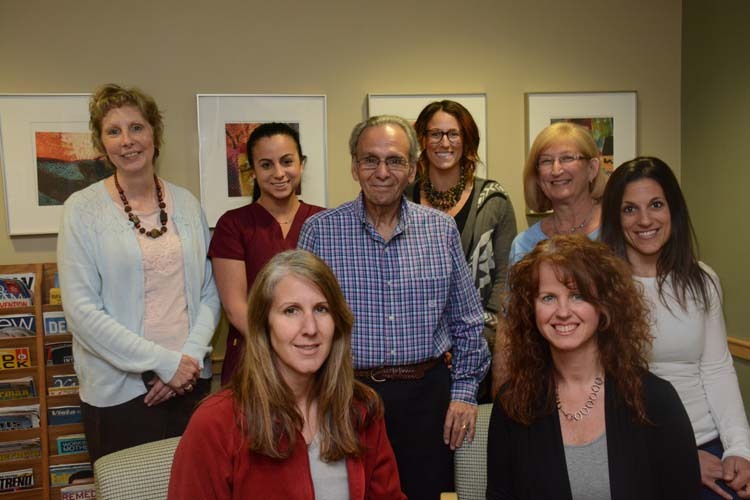 Bacharach also has a team of speech pathologists in Pomona and Somers Point dedicated to treating speech and language impairments in both children and adults. “We provide services for people with a wide range of impairments, including: speech, receptive and expressive language skills, vocal function, cognitive skills and swallowing disorders,” said Kathleen Diblin, MSCC-SLP, BCS-S, director of the speech language pathology department for Bacharach. Speech disorders may be caused by stroke or brain injury, cancer, paralyzed vocal cords, autism and many other conditions.